Here is my first wave of Smash Bros Conbadges I have created. The ones on the top are the special Champion edition badges for my online tournament I have hosted on the Wii U version of the game. 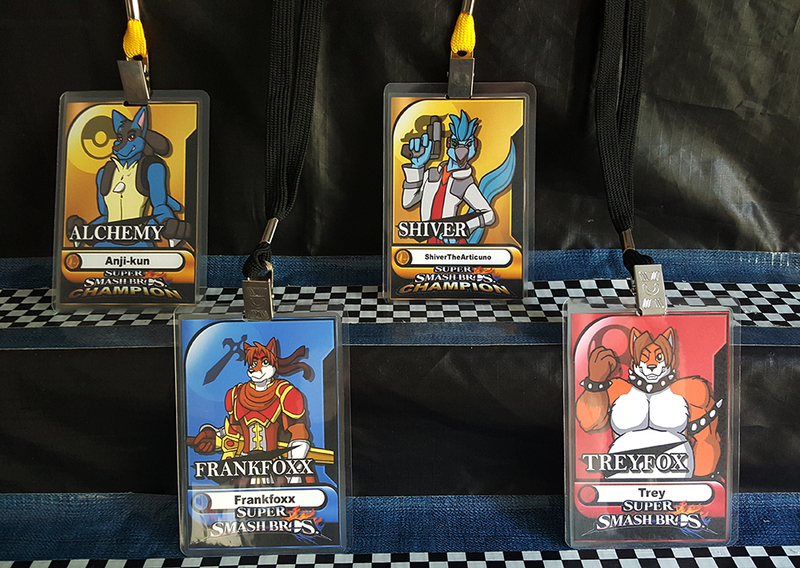 The ones at the bottom are standard badges which I can make as available for commissions, but the Champions are for the tournaments only. If you would like to have a smash badge, feel free to leave me a PM.